A proper client appreciation event is made up of a few vital elements. First, the team needed a welcoming environment to host the event. 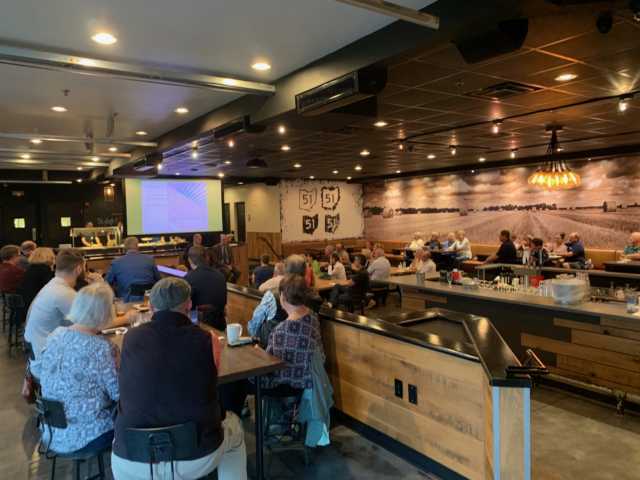 Our planners decided to ditch the conference room and rented out Toledo-based Shorty’s Back Forty, an event hall known for serving up great bites and beverages. The other necessity is a moderator to guide and curate the discussion. This role was taken on by financial planner David Clarke, alongside special guest Paul Eck. Paul is a longtime friend of the team and an advisor for the Pacific Investment Management Company (or PIMCO), one of the world largest fixed income traders. With decades of advising experience Paul assisted David in illuminating the audience, answering any questions they might have. “We received a ton of positive feedback from this event” said David Clarke. In addition to the town hall discussion the team was also able to spend time mingling among the crowd. 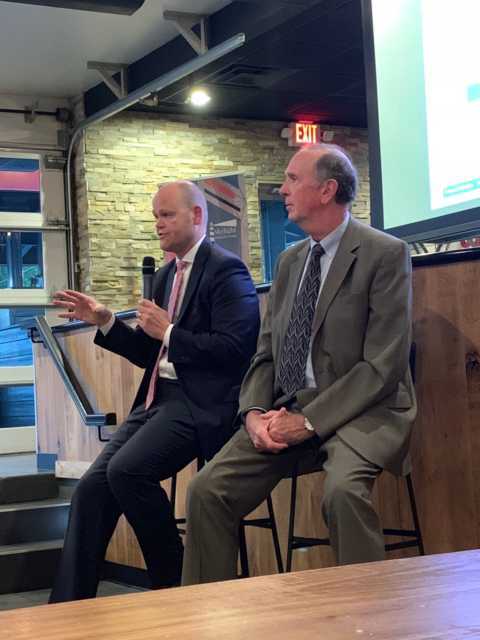 “We truly enjoy the opportunity to spend time with our clients and get to know them better.” Chris Heerdegen added that this client appreciation event, “will continue to shape how we approach future events”, asserting that the team looks forward to hosting more events like this in 2019 and beyond. PIMCO is not a subsidiary or affiliate of MML Investors Services, LLC or its affiliated companies.